You provide the children, we provide the fun. Kids just LOVE to run around outside with their friends. 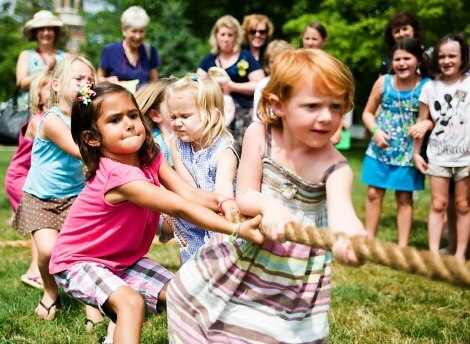 At Field Day, we’re taking it back to basics with wholesome, outdoor fun. No iPads or phones in sight! Our instructor-led kids parties are safe and hassle-free. Our instructors get everyone involved and the kids leave happy and rosy cheeked! There's even a chill-out zone for the parents if you want to relax with a beverage or two! All of our instructors are registered on the PVG scheme. 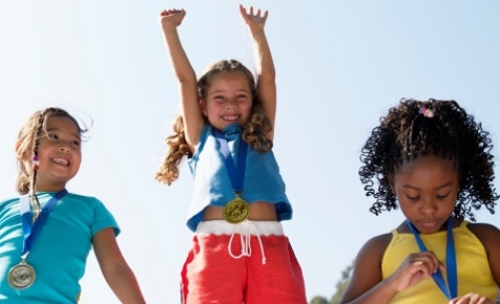 At our Olympics Party kids can channel their favourite athletes. The bell tent is decorated in Olympic colours and kids are assigned to country teams with their very own flag, before the games begin! It includes non-stop, hilarious team games such as three-legged race, sponge relay, space hopper, frisbee discus, mini hurdles, sack race, egg and spoon and many more. It ends with a podium prize giving ceremony and some very proud kids! For adventurous kids who love to get muddy, our Assault Course is a proper challenge! Kids have to work in teams to jump, climb, crawl and wade through the obstacles. There’s even a rope descent down to the Pow burn! (Weather and water levels permitting). It’s an achievement to be proud of. Our expert instructors at Scottish Assault Courses will take the kids round the course and don’t worry if they don’t want to do certain obstacles, our instructors will provide alternatives to get them to the finish line. Safety is really important to us, so the group will get a detailed safety briefing before starting. You are also welcome to bring your own cake.